Plush clip-ons from The Angry Birds Movie! Here come Pig, Red, Chuck, Bomb, Matilda, and Blues. Case contains twelve 2 1/2-inch tall plush. The Angry Birds have their very own movie! 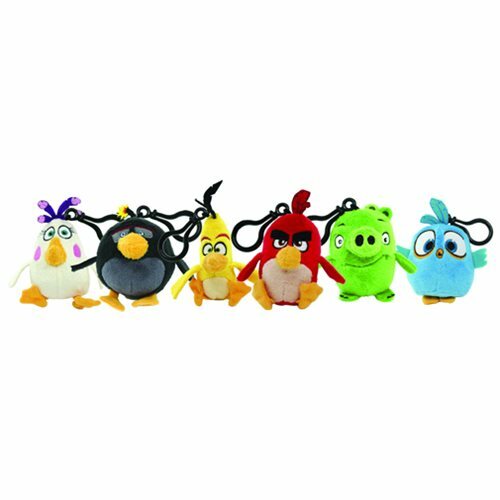 These 2 1/2-inch tall clip-on plush feature some of the most iconic and recognizable characters from the Angry Birds game and The Angry Birds Movie. You'll want to collect them all!